Sam says the barber’s chair is a place for men to open up and talk about their emotions. 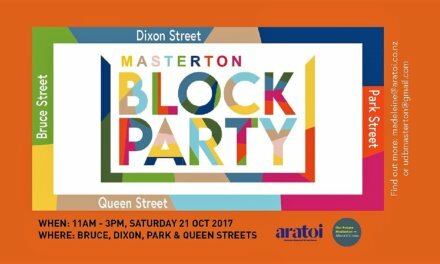 Masterton to get a Christmas visit from one of the national champions of alternative currencies and men’s health. 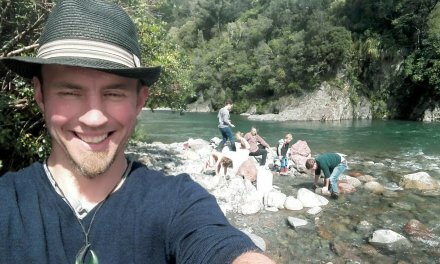 Sam Dowdall, also known as The Barter Barber, will be guest of honour at tomorrow’s Wairarapa Green Dollar Exchange market – providing haircuts and beard trims in return for some snacks, a few cans of dog food, some inspirational stories, and even, if he’s lucky, a quad bike ride at a local farm. 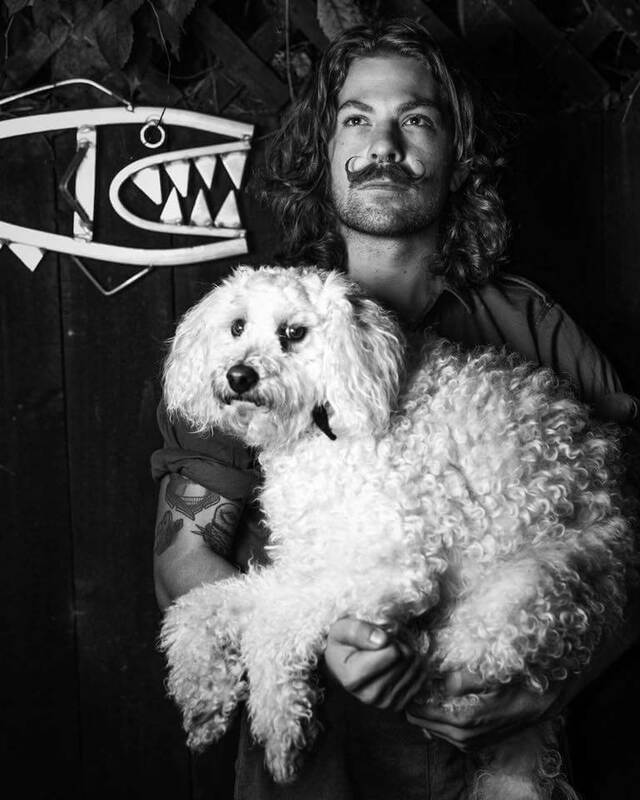 Sam, recognisable by his shoulder length curls, handlebar mustache, numerous tattoos, and poodle cross Bo bouncing along beside him, has spent the past year travelling the length and breadth of New Zealand in a 1971 Bedford ambulance, towing a mobile barber shop from town to town. His mission: to get his fellow Kiwi blokes to open up and talk about their mental health, while sitting in the barber’s chair. 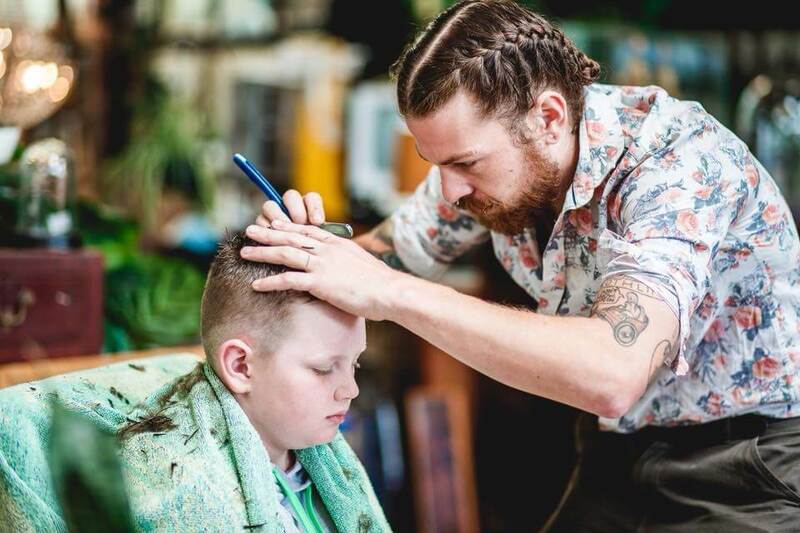 Tauranga-native Sam – who hopes to spend two years touring the country, filming his adventures as he goes – was inspired to start his Barter Barber project after losing four close male friends and many clients to suicide. 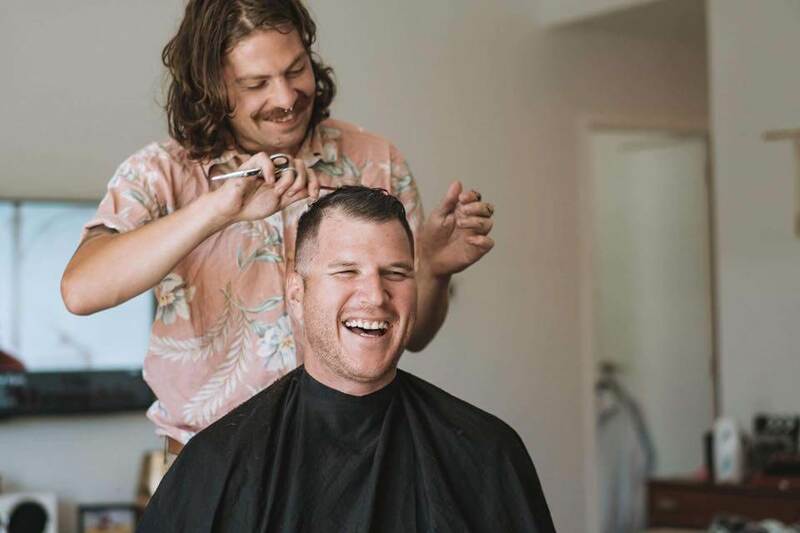 Noticing how easily his clients were able to share their emotions while having their cut, and feeling disheartened by New Zealand’s typically “stoic” male culture, Sam decided it was time to reach out to men and open up the conversation on a wider scale. “The barber’s chair is one of the only places where men feel they can talk about anything. So, I thought what better way to spread the message that we men need to start talking about depression and suicide than to take the chair on the road,” Sam said. 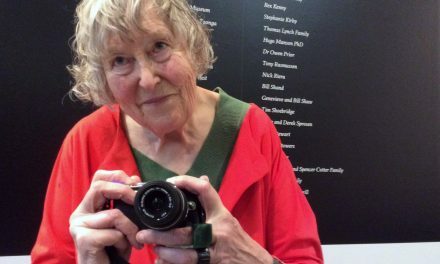 “I realised the more [clients] felt comfortable with me, the conversation quickly became one of frustration. 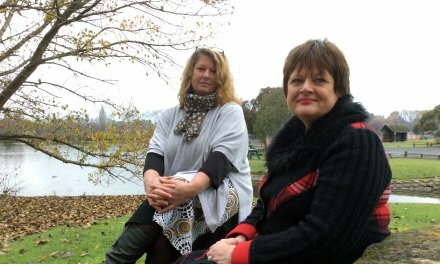 Men feel frustrated that they’re unable to communicate their emotions, and with the ‘harden up’ attitude we have in New Zealand. At the tender age of 27, Sam has enjoyed a lucrative career in the barbering industry, at times earning up to $2500 a week cutting hair, and opening his own barber shops in Australia and New York. However, he eventually became “disillusioned with the financial system” – and decided he’d rather shave a face in exchange for some dog treats for Bo or a bit of help with the Bedford than rake in the cash. “After owning businesses, I realised what it takes to be ‘successful’, and I wasn’t comfortable with that. I wasn’t comfortable with inflation, and the gap between the rich and poor. “No matter how many things I could accumulate [in business] it never satisfied me – I have found that satisfaction in altruistic actions. Sam said he has had some moving experiences as the Barter Barber – he has at least one man a week cry in his chair – and especially loves chatting to men in the provinces and rural areas. Provincial men, he said, can be particularly vulnerable to depression, thanks to social isolation and socioeconomic struggles. Wairarapa, for example, currently has the highest rate of suicide per head of population. “Guys in the provinces are ready to talk, really because they need to. “A lot of the time, they just need someone to come along and say, ‘hey, talking about your feelings is okay, and it’s necessary to be a better, husband, brother and friend’. But, if the guys do want to open up, Bo is always on hand to help out. Sam, who has struggled with anxiety for several years, said his work as the Barter Barber has also helped him feel more comfortable in himself. “I used to feel emasculated by the men in my world, as I didn’t fit the physically or emotionally dominant stereotype of what a ‘man’ is. But this has proven to me we’re all the same. Sam will be at the Green Dollars market on Saturday, December 9 at the Senior Citizens Hall in Masterton. The market will be held from 9.30 to 12.30. This story originally appeared in Wairarapa Midweek, December 6, as part of the regular Green Dollar Exchange column. PreviousREVIEW: What’s not to love about Rachel?